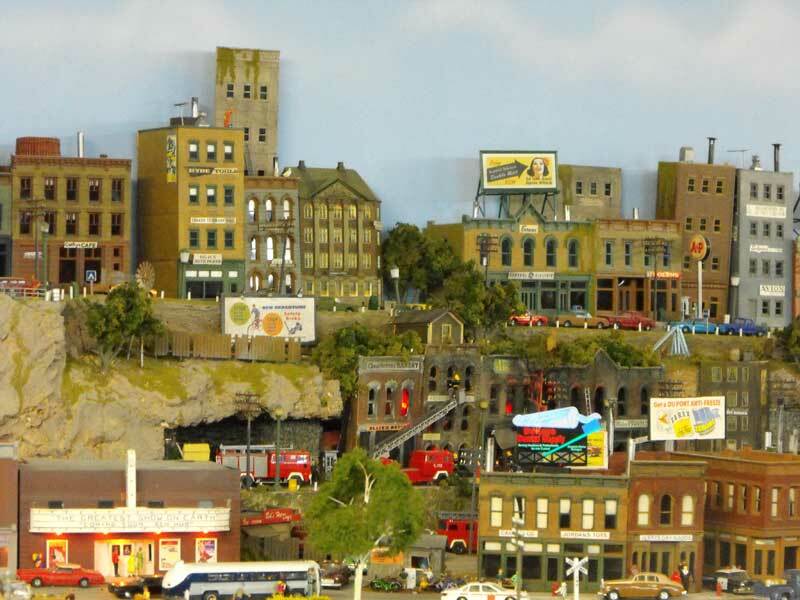 The Niagara Frontier Region (NFR) of the National Model Railroad Association (NMRA) held its 2012 regional convention in Sudbury. Sudbury is a few hours north of Toronto and is a famous Canadian nickel mining centre. It is promoted as Nickel City. 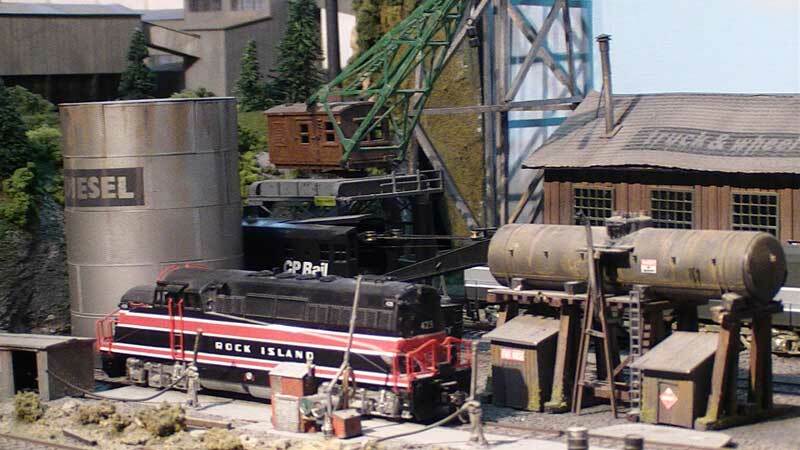 The guys and gals of Greater Sudbury had done a marvellous job of organizing the clinics, layout tours, model contest, banquet and other prototype attractions. 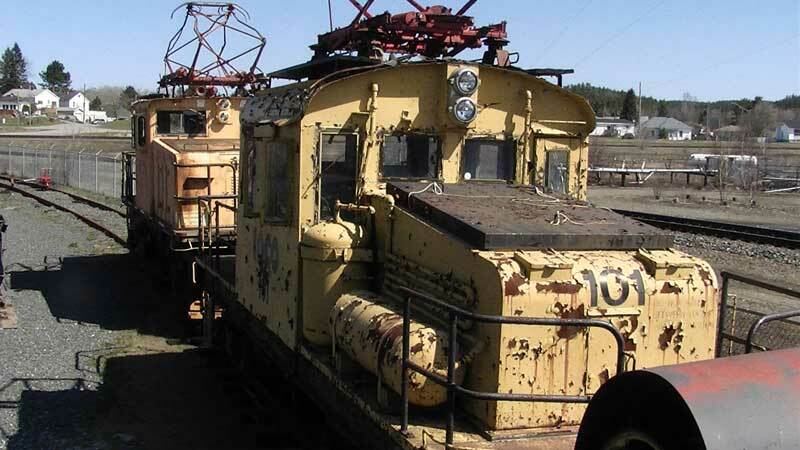 Tours included VALE (formerly INCO) and a self-guided tour to the Northern Ontario Railroad Museum and Heritage Centre at Capreol. 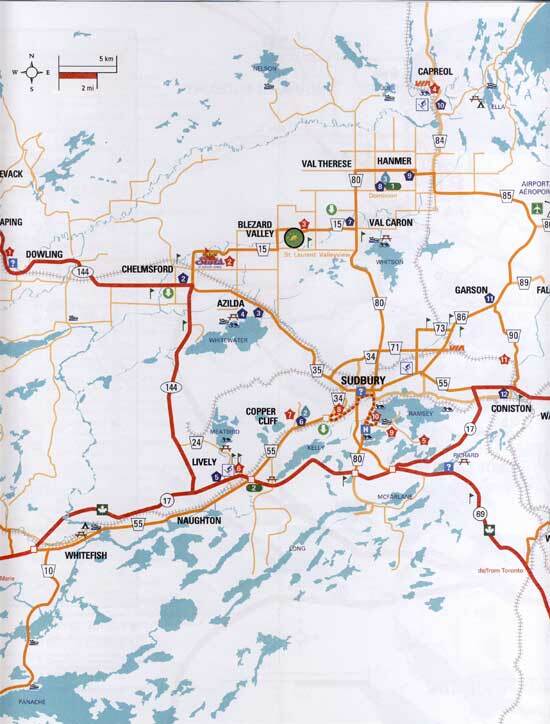 Capreol is 30 minutes north of Sudbury and is a CN crew change point and classification yard. 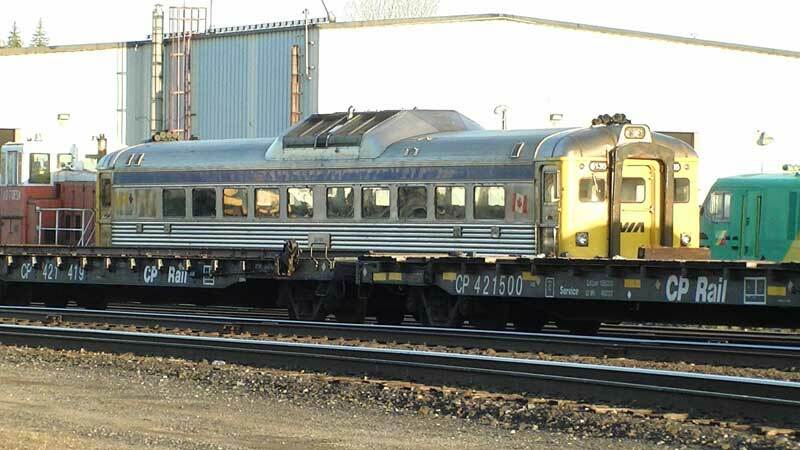 It used to be a major division and crew change location on the CN rail network. 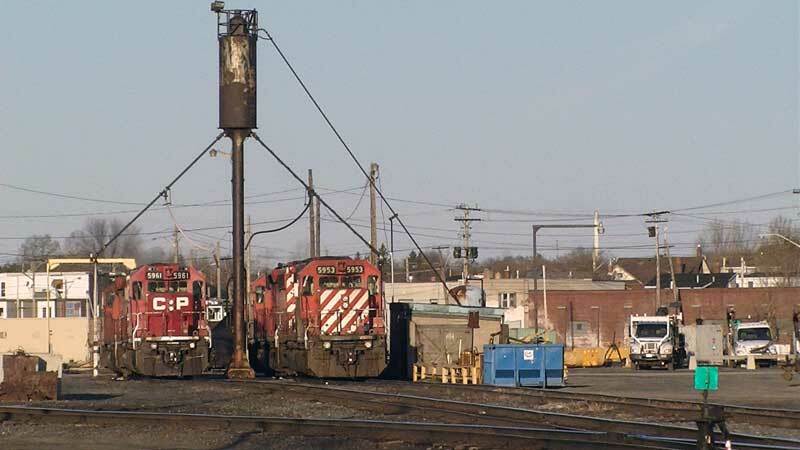 The yard in Sudbury is squeezed into the downtown core and hosts trains from CP, CN and Huron Central. CP has a crew change further west. 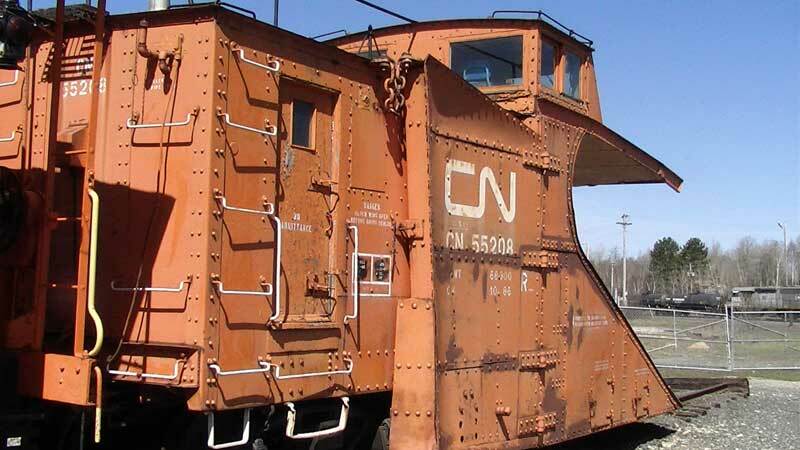 I managed to be in Capreol Sunday morning when CN was sorting cars out of a train. There's a video further down this page. I also managed to capture some video of the Huron Central moving through the downtown by the Howard Johnson's Hotel where the convention was held (next to the rail yard). 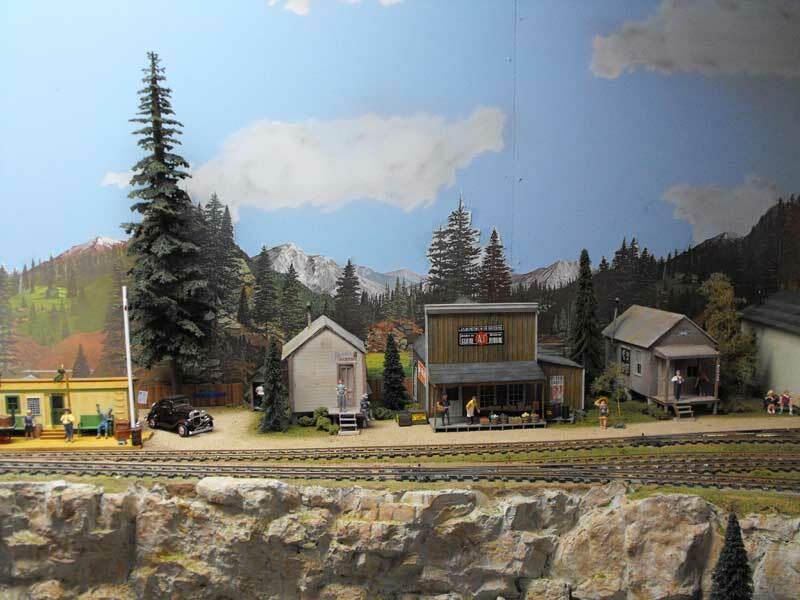 One of the highlights of the layout tour at this model train convention was the layout of Al and Jackie Melanson. 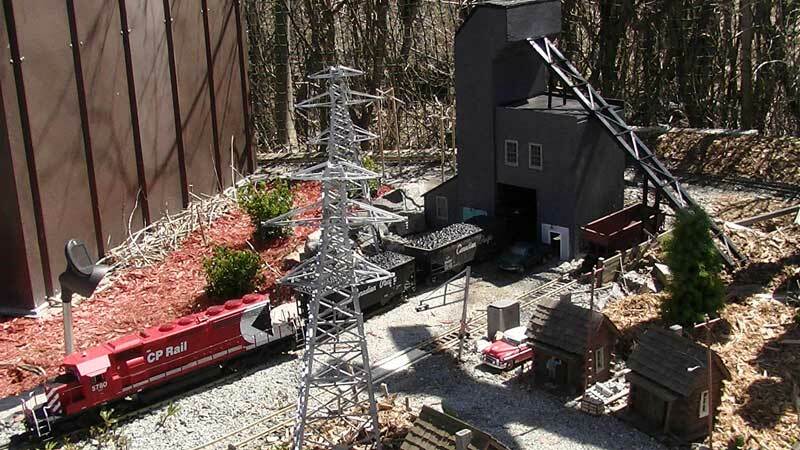 This husband and wife team has assembled a large and highly detailed HO layout that wanders through three and a half basement rooms. The mainline is 215 feet and there is a 30 foot branchline. 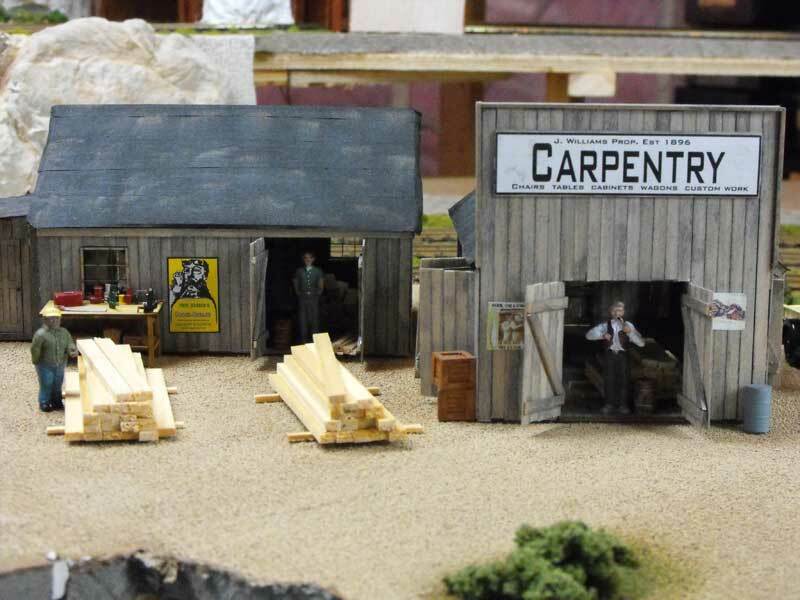 There are numerous scratchbuilt, craftsman and kitbashed structures. 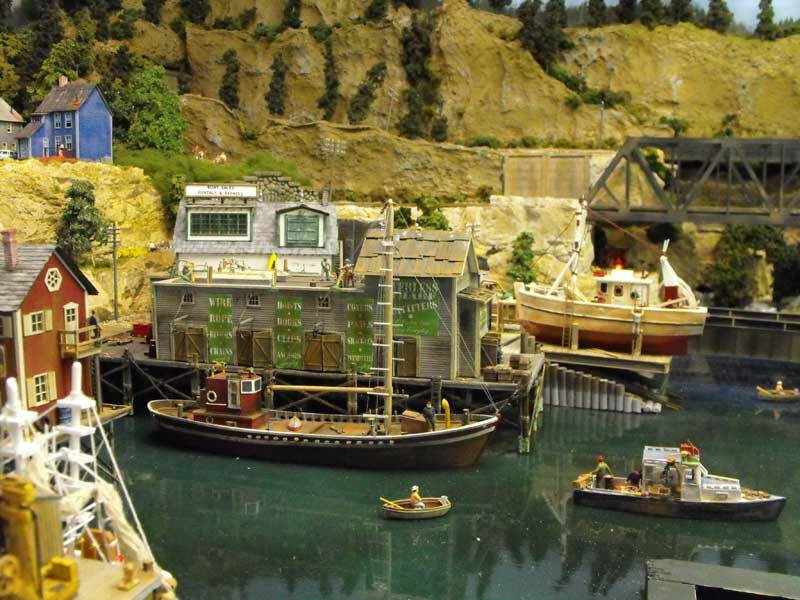 The harbour scenes are amazing. As well, animation has been added: a thunderstorm, lighthouse and fog horn, rotary dumper, working coal loader and even a helipad. 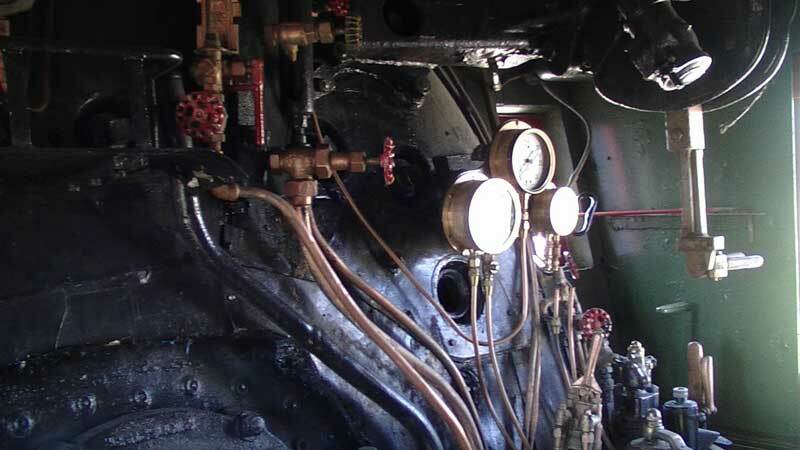 The freelanced layout features CNR, CPR, ACR, HCR, VTR and TH&B. Control is DC. 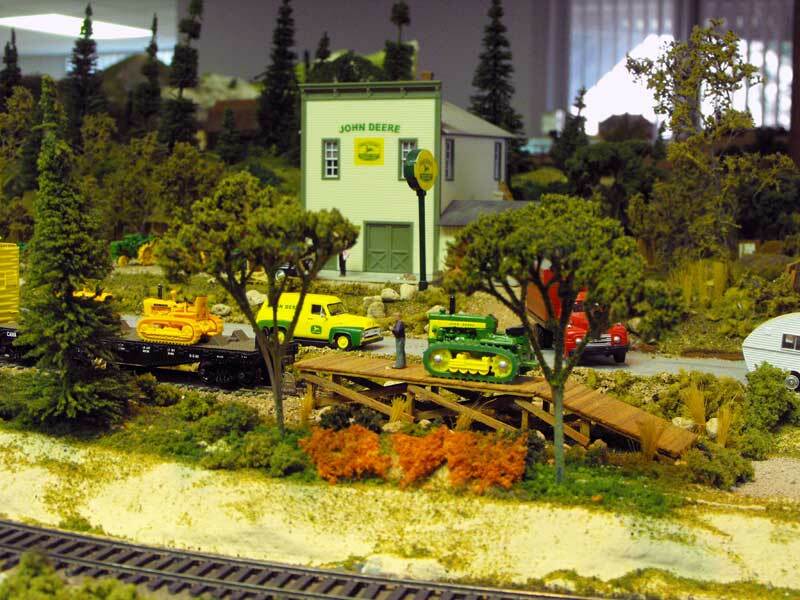 Here are some photos from the model train convention beginning with scenes from Al and Jackie Melanson's HO layout. Click on the thumbnails for larger pictures. 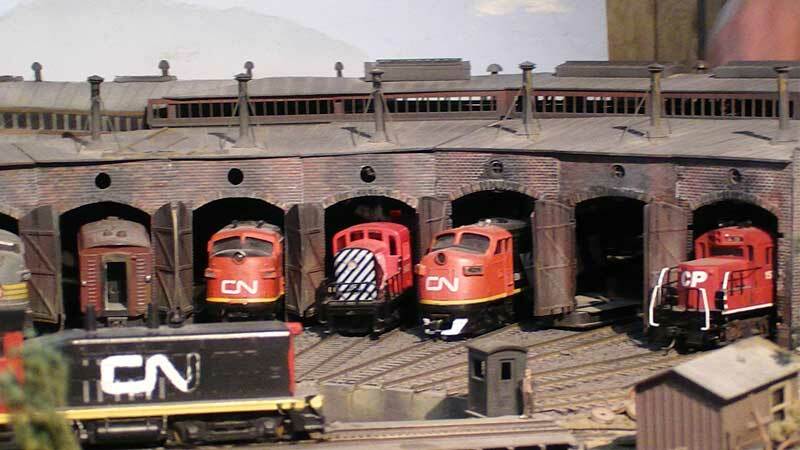 Here's a quick look at three layouts: the HO switching layout of Brian Buss that occupies a 10' x 15' basement room. 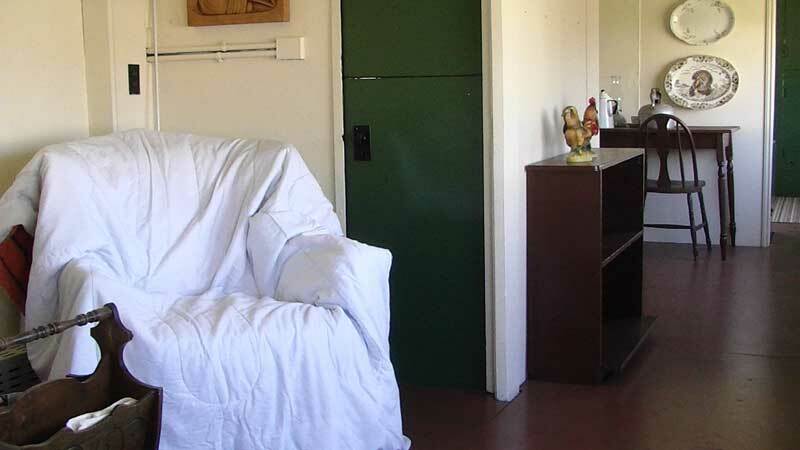 It's around the perimeter of the room with a swing gate entry. There's a hideen staging yard extension. Brian did a clinic on scenery building. I'll post some of the tips from the clinics later. There were some good ideas presented. 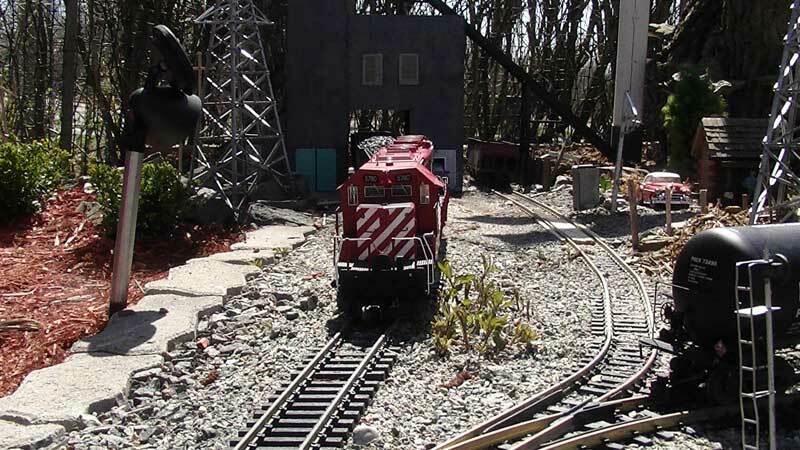 The second layout in this video from the model-train-convention is the N scale 8 1/2' x 14' Marystown Little Current Sub of the Canadian pacific's Algoma division. 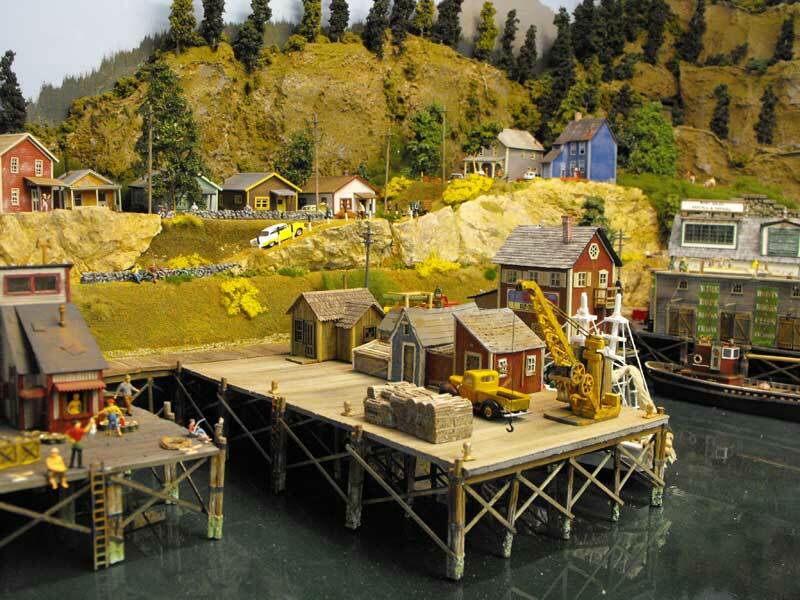 This is a freelanced layout based on the Little Current area built by Wes Carmichael and includes various kit built, kitbashed and scratchbuilt structures. 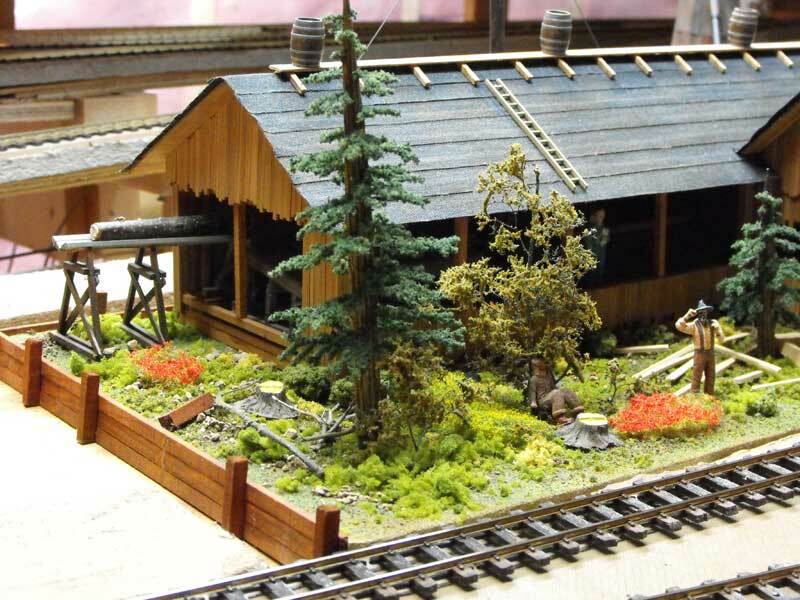 The third layout is the HO 10' x 10' layout made by Peter Pentilla. 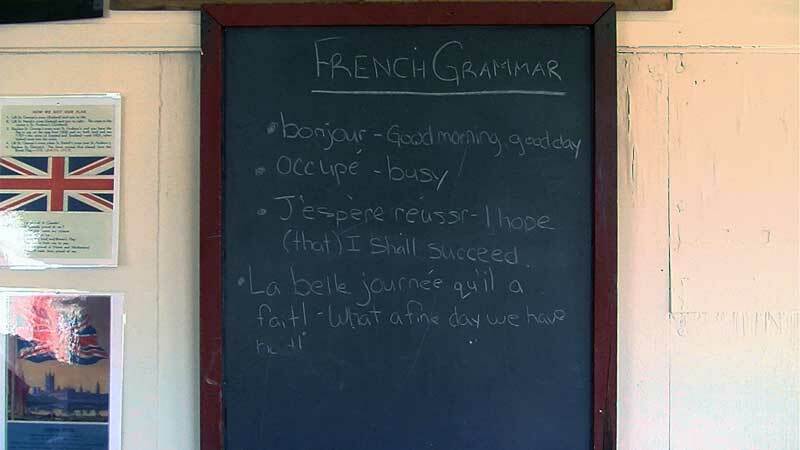 Peter describes it as a 'beginner's layout" work-in-progress. The trains stayed on the track which doesn't always happen on my Utopia Northern RR! Photos begin with the On30 layout of Richard Lefebvre followed by a few photos from the HO layout of Mike Svos. 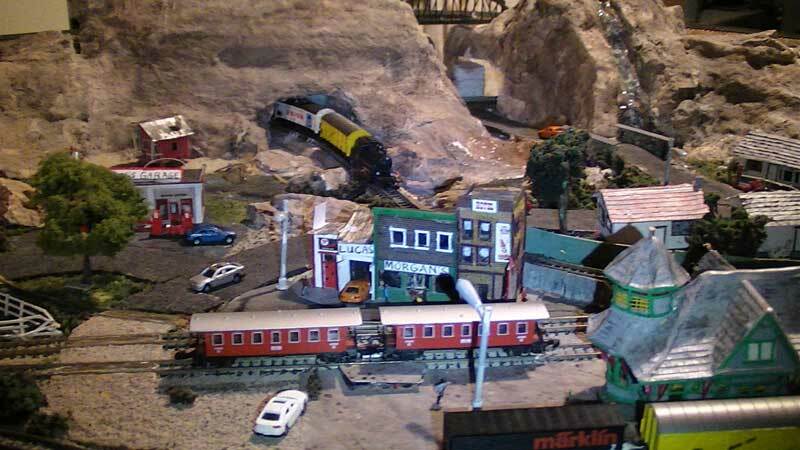 Mike's layout is covered more extensively in the next video. 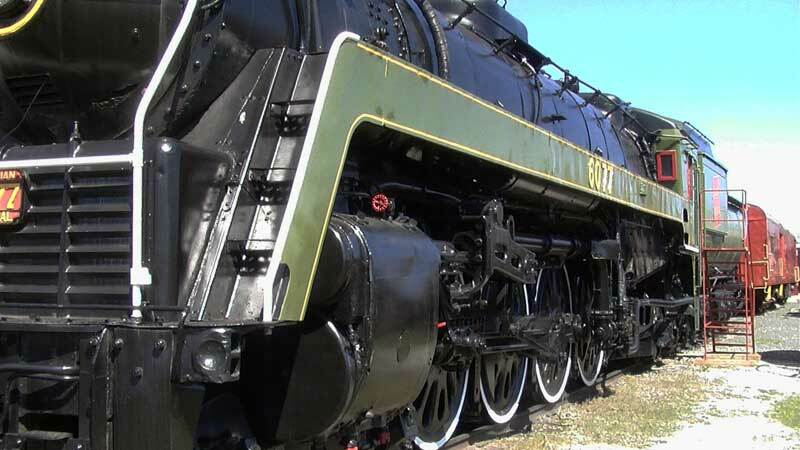 The following video starts with some scenes from Richard Lefebvre's On30 Larkin Valley Railroad. 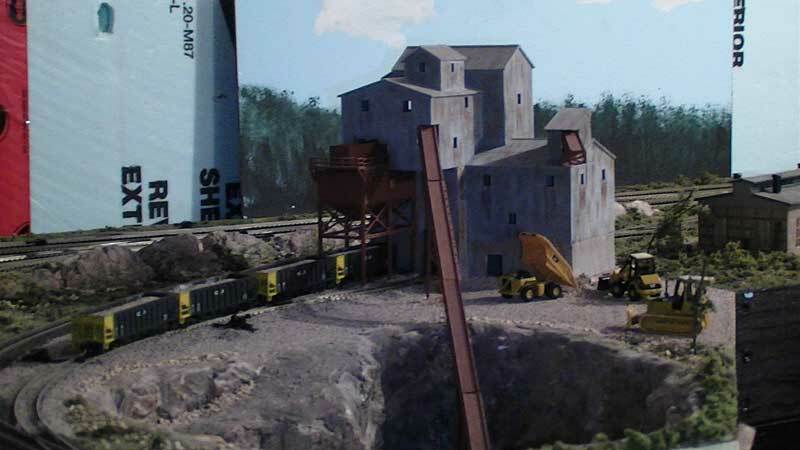 This is a fictitious railroad serving remote Northern Ontario communities. The layout is under construction but already has some excellent scenery, buildings and scenes. 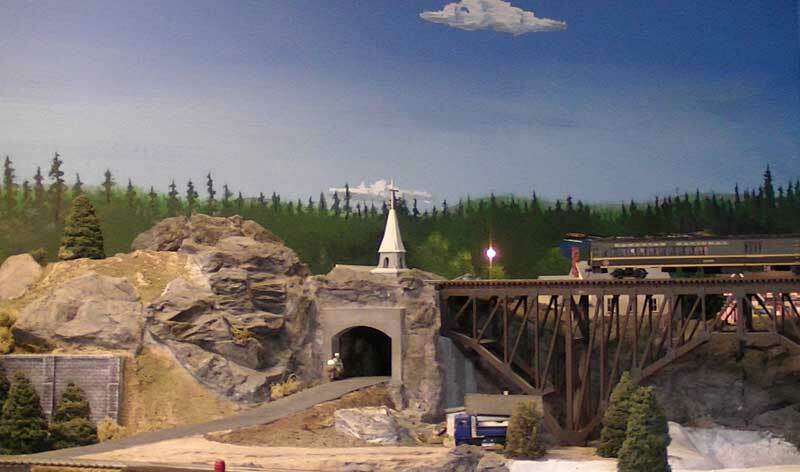 The branchline serves the mining and lumber areas and features slow moving geared locomotives and narrow gauge equipment. Digitrax DCC with all power and rolling stock from Bachmann. 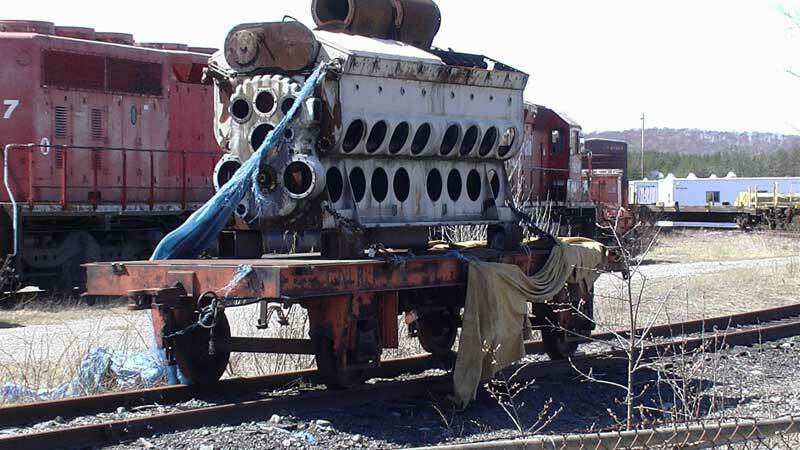 Most engines are sound equipped. 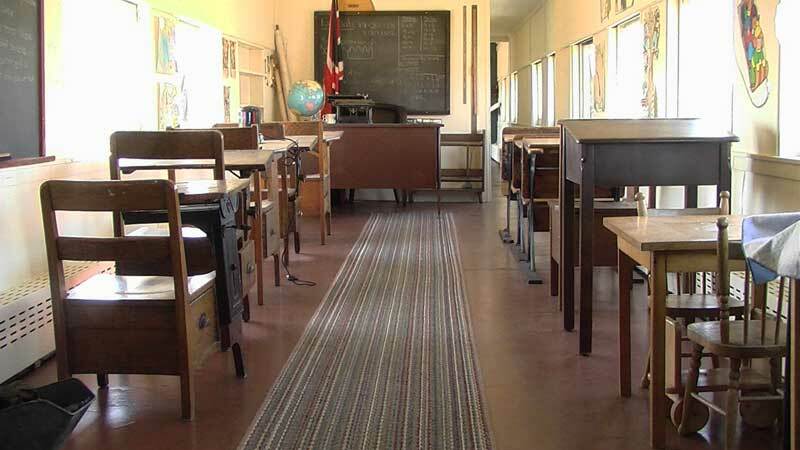 The era is the 1930s. The second section of this video features the gigantic Mattawa Valley HO layout of Mike Svos. 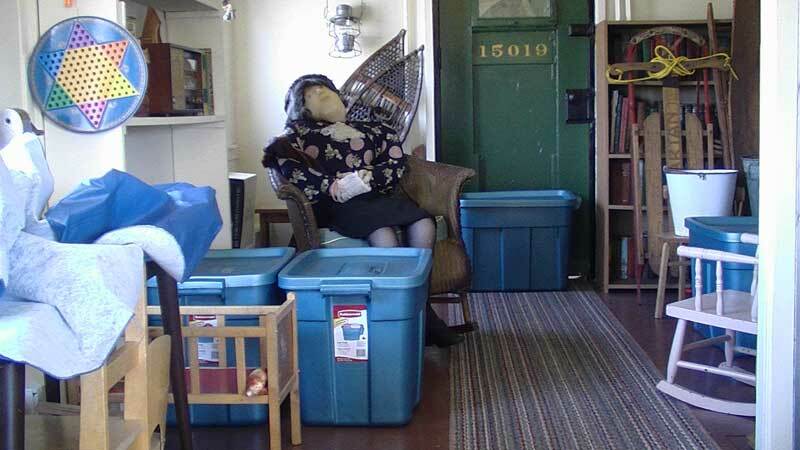 This layout occupies the entire basement with a mainline of 350 feet. 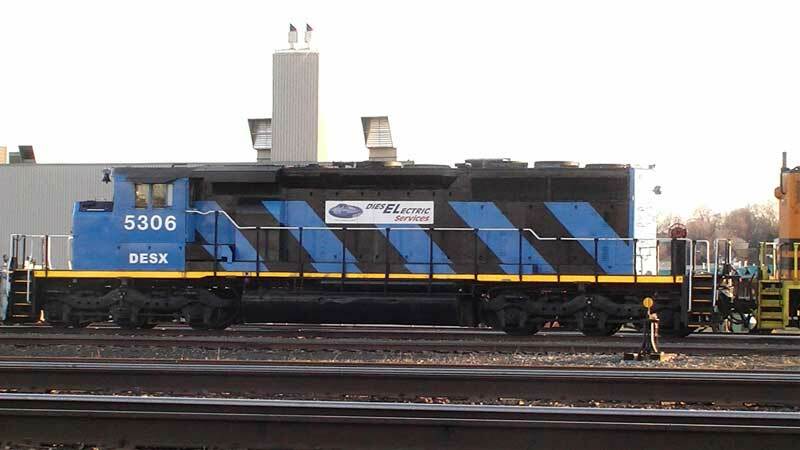 There are additional branchlines, multiple yards and an extensive double-ended staging yard. The period is September, 1957 and the roster includes steam and diesel, freight and passenger operations. Scenery was about 50% complete but what has been done is first class. He was also working on starting car card operations in 2012. 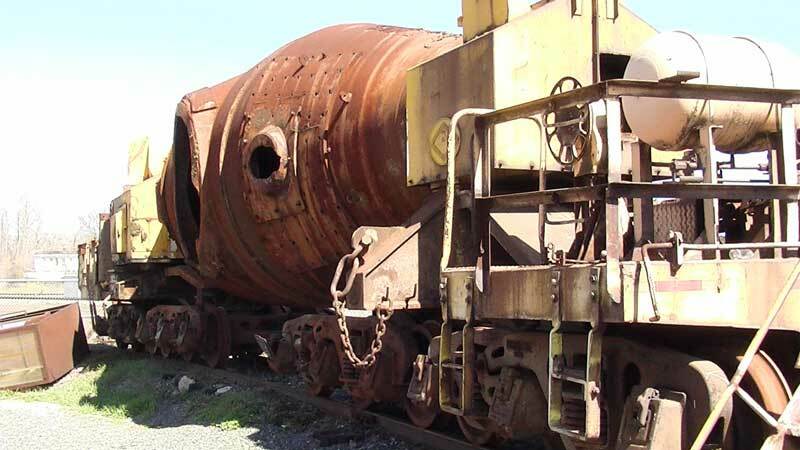 The basement shares trackage rights with a large O scale railroad also under construction. 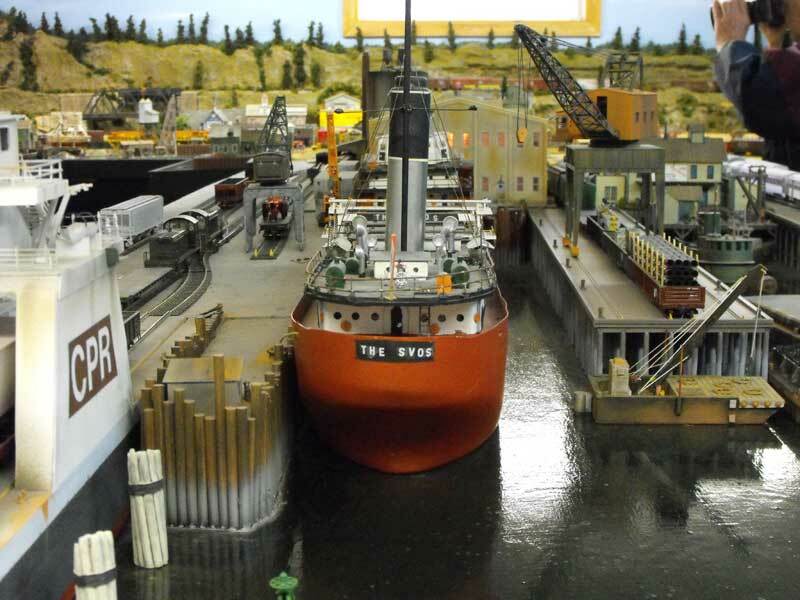 The O scale layout will be based on Little Current. If my rushed notes are correct the first photos below are from the HO layout of Wayne Cowan. 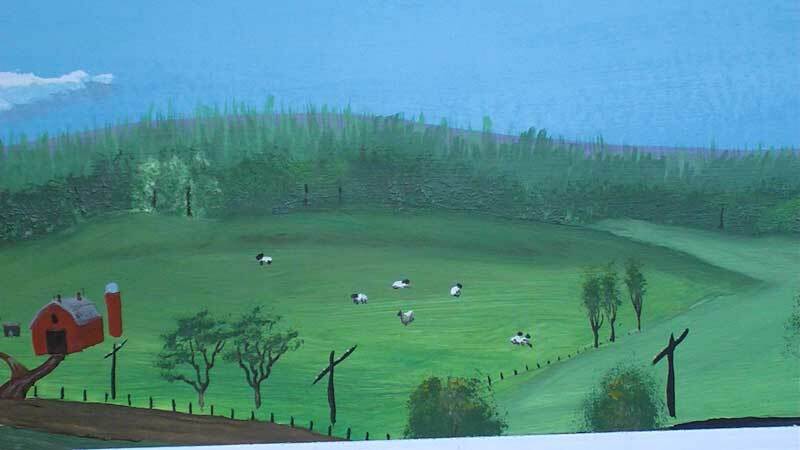 He has a marvellous handpainted backdrop that was done by a local artist. 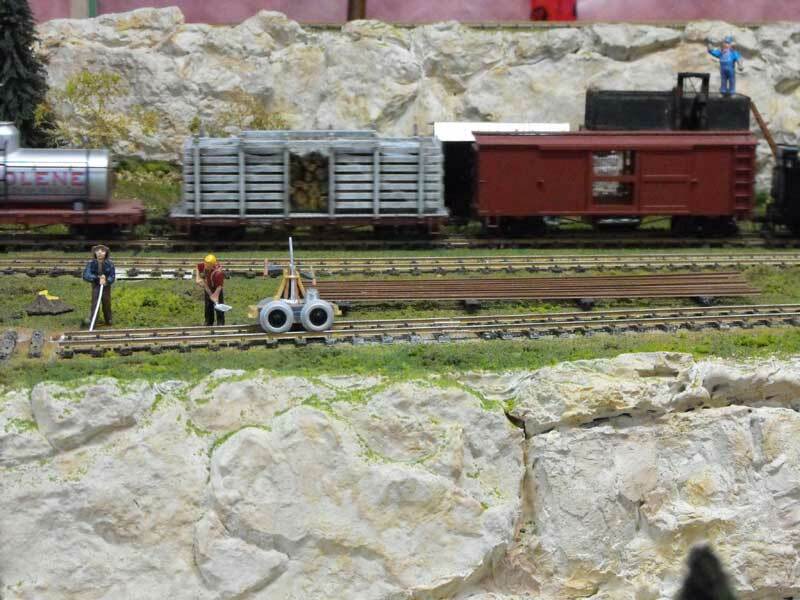 There are a few photos taken at the N scale layout of Trevor Ross and two photos of Dave Clements' Z scale layout that was also on display in the raffle room at this regional model train convention. 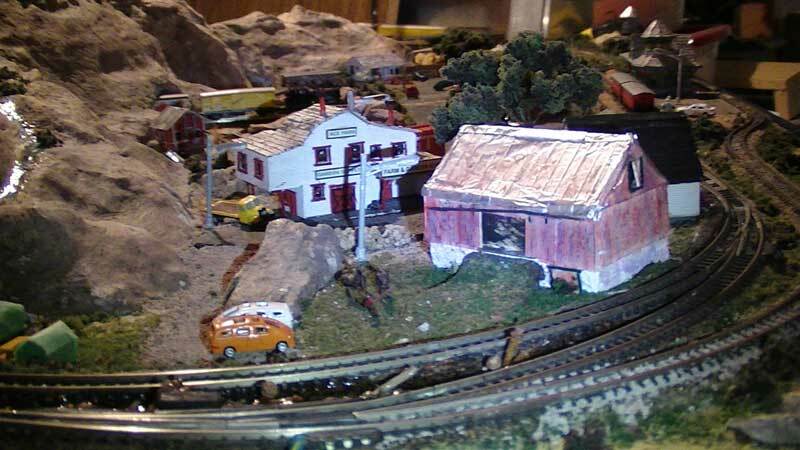 The last couple of still photos were taken at Dave Karen's G scale garden railway. 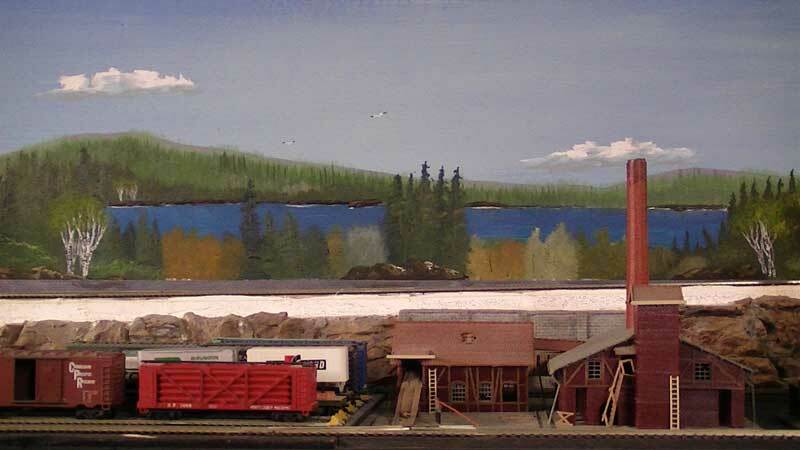 This video has Wayne Cowan's HO scale 26' x 40' around the wall style layout. It had 50% scenery and was well done. Wayne also had a wall of brass engines to take your breath away. 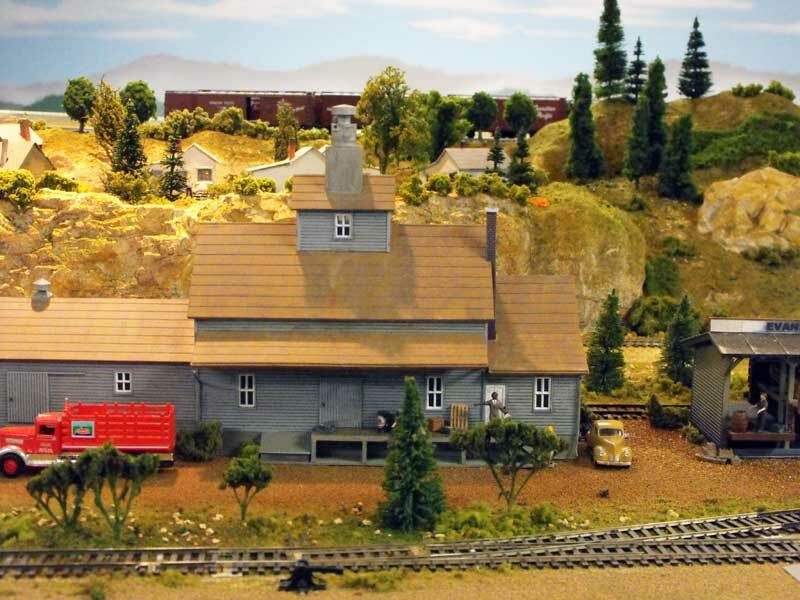 Also featured here is the HO layout of Garth and Ian Harris. It is under construction using modular sections and operates with Digitrax DCC. 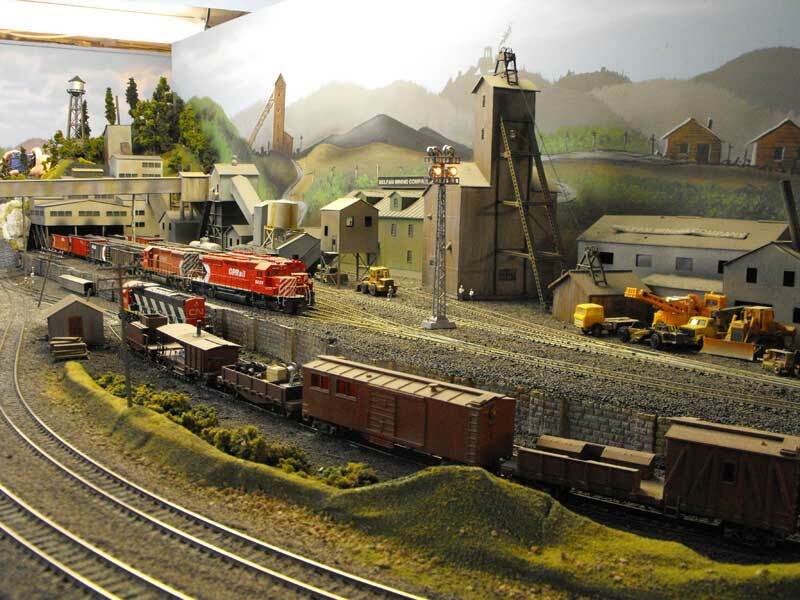 Industries include a detailed roundhouse area, a coal mine site and a sawmill operation among others. 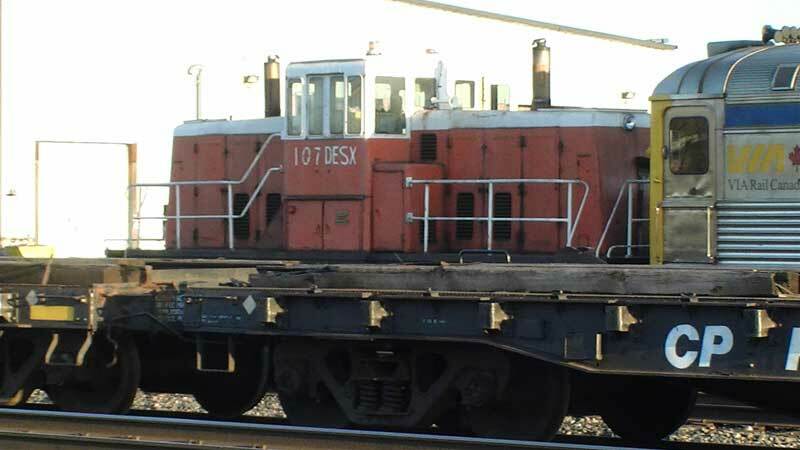 There's also the Bonin Basement Railroad (BBR) of Trevor Ross. It's N scale and also runs with wireless Digitrax DCC throttles. 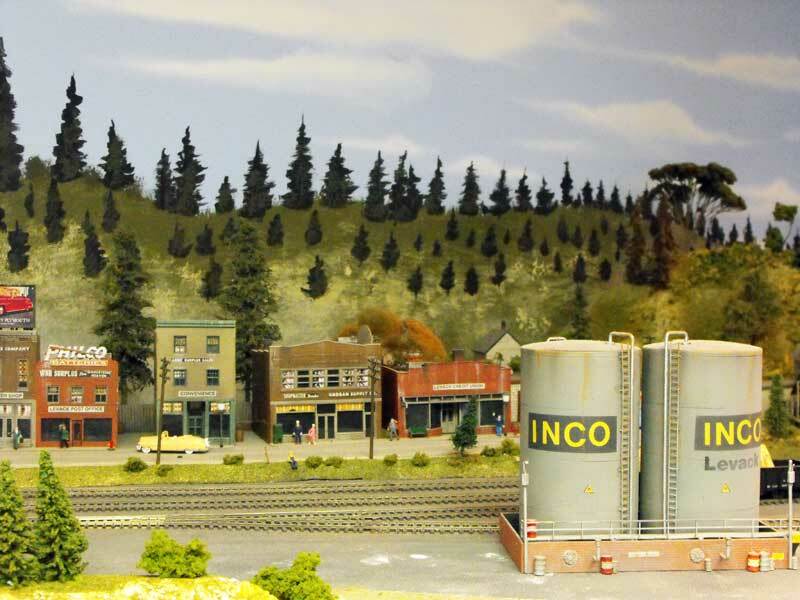 Finally a few views of the 2' x 3' Z scale layout of Dave Clements that has a lot of scenery. I don't know how he can build that small! We were blessed throughout the weekend with bright, sunny skies, albeit a little chilly. It was perfect for photographing Dave Karen's CPR Madison Branch. 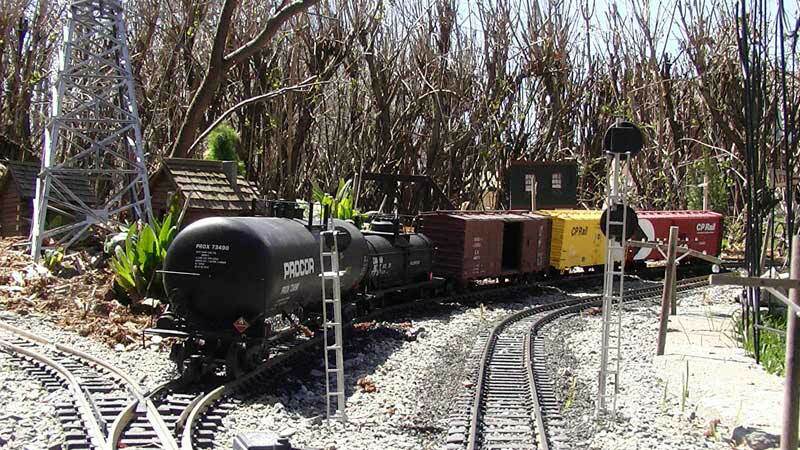 This 10 x 50 foot garden railroad hugs the perimenter on one side of his garden with loops at either end. It runs under Aristo-Craft battery control. It is a loop to loop configuration representing a fictitious branchline in the 1990s. The line's purpose is to service the mine at the town of Stump (by the tree, naturally) and also the town of Hillshed (by the shed, of course). There is also a short loop of trolley line that is powered by DC. I took some of the following video outside the convention headquarters at the Howard Johnson hotel that is next to the Sudbury yard. The yard is squeezed into the downtown core pressed in by the rocky hills. CP has moved its yard and crew change west while CN has a classification and crew change 30 minutes north of Sudbury at Capreol. 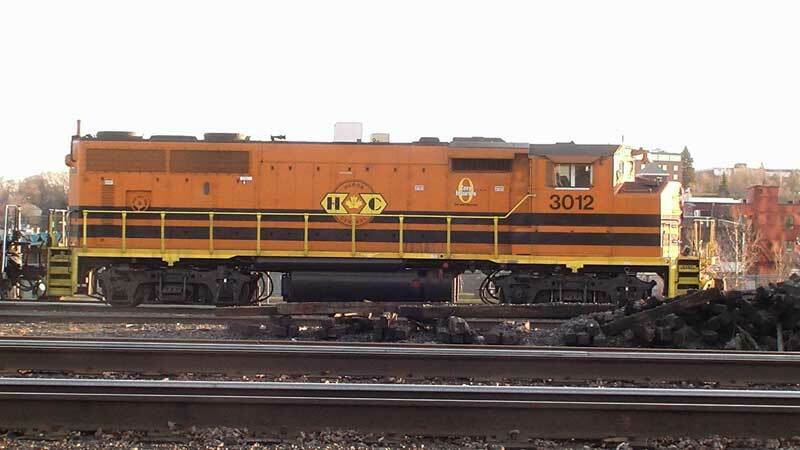 The following video captures Huron Central departing with a train of coil cars for Sault Ste. Marie and a CP freight entering Sudbury from Toronto. 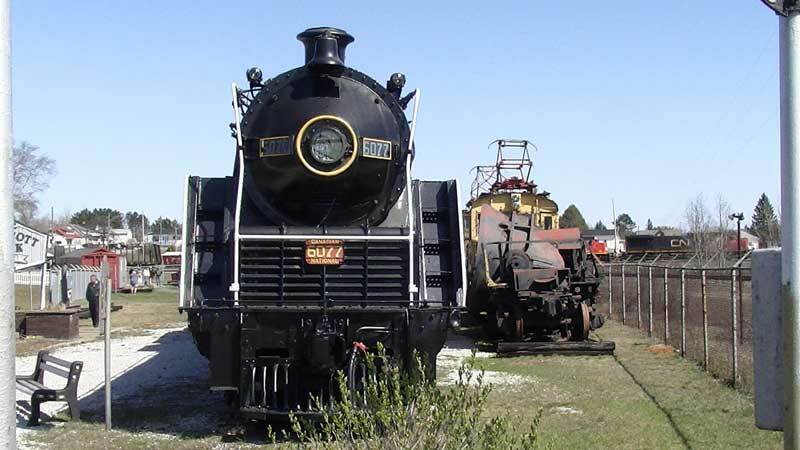 The rest of the action was taken at Capreol from Prescott Park, home to the Northern Ontario Railroad Museum and Heritage Centre. 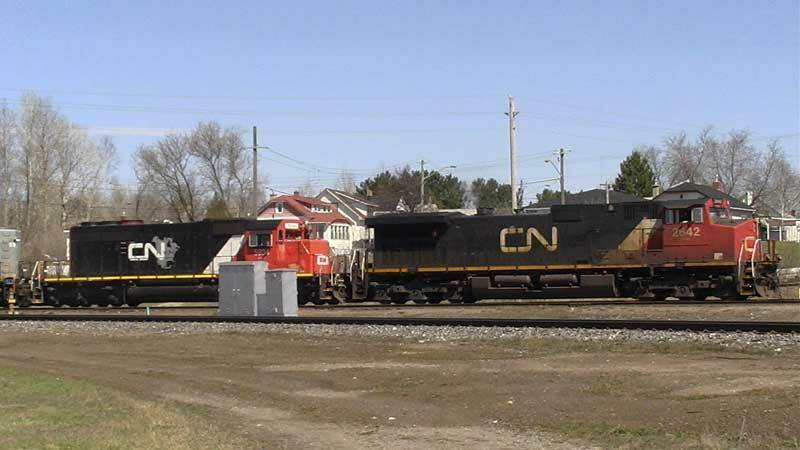 A CN lash-up is switching cars into classification tracks. 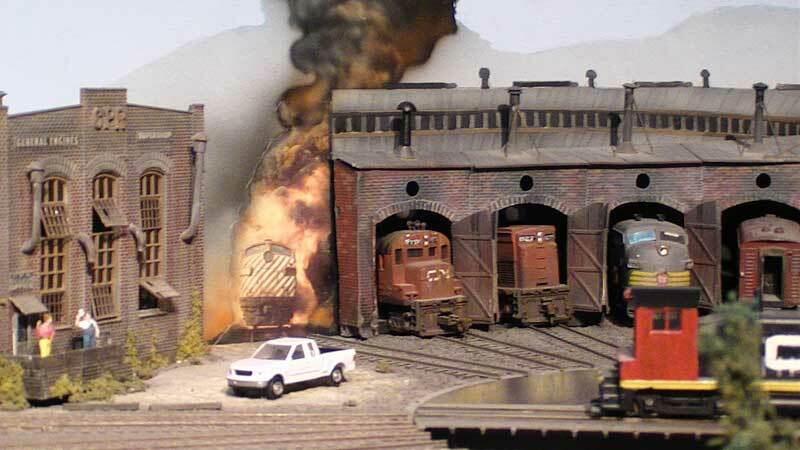 I have posted some great tips from the clinics at the Sudbury model train convention at modelling tips. For more information about the Niagara Frontier Region and upcoming events go to the nfr website. 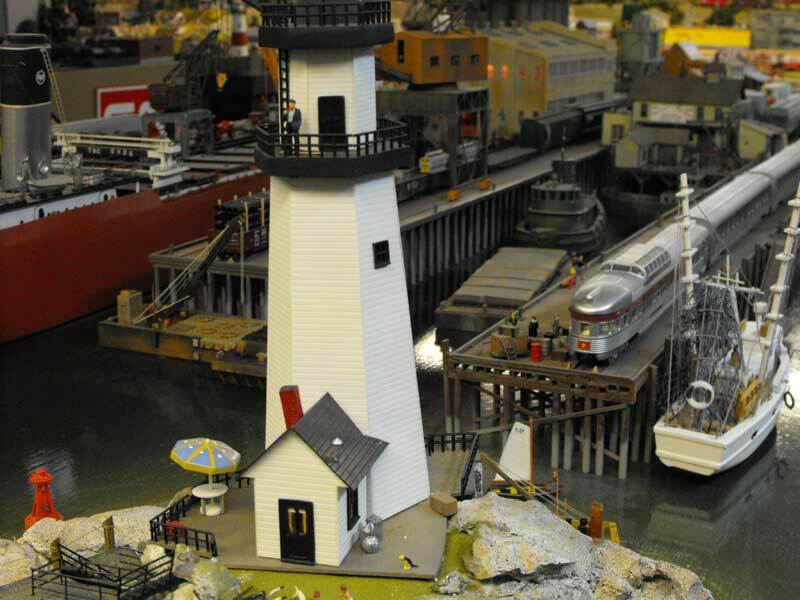 Go from "model-train-convention" to the Train Photos overview. 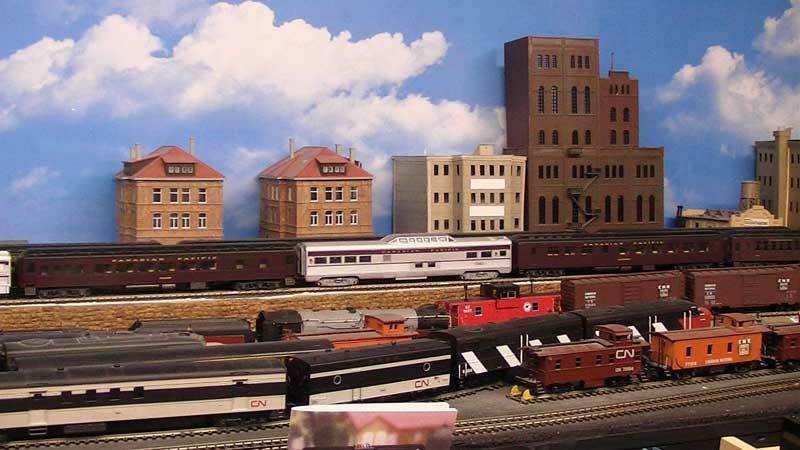 Return from "model-train-convention" to my Home Page.